Bolludagur Over – We Didn’t Spank Anybody! Bolludagur, or Cream Puff Day in English, is almost over. 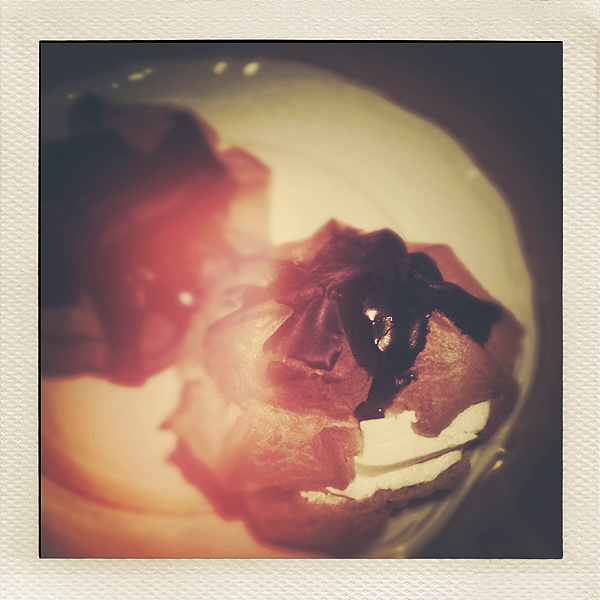 If you’re in Iceland, maybe you too had your fill of cream puffs today. Or maybe not, since this is one of the many Icelandic festivities overlooked by foreigners. Bolludagur always falls on the Monday preceding Ash Wednesday, so its actual date changes every year. Its origins are either to be found in Denmark or Norway: bakers from these countries are believed to have introduced this custom in the middle of XIX century. Tradition about this festivity is kinda crazy, to be honest, and it goes as follows: children arm themselves with a bolludagsvöndur, a stick especially thought for the occasion, after waking up on the morning of Bolludagur; they creep to their parents’ room and with the stick they spank the adults yelling “Bolla!”. For every blow received before getting out of bed, parents are supposed to give their children a cream puff. I assume these days this custom has become less literal thus children cannot get three dozens of cream puffs just because they’re good at spanking their parents. But I’m just guessing, I could be wrong. A lot of people still make homemade puffs and that’s one of the reasons there are a few different versions of the rjomabolla which are eaten on this day, but in general these pastries are very much like French choux pastry — the same for profiteroles and eclairs. The puffs are topped with chocolate, sliced open and filled with cream, but sometimes also with strawberry marmelade. We managed to buy a couple of cream puffs without having to spank anybody. Perhaps money is an updated and more formal equivalent of spanking? Since I’m not too fond of choux pastry, Uncle Harry will have both.